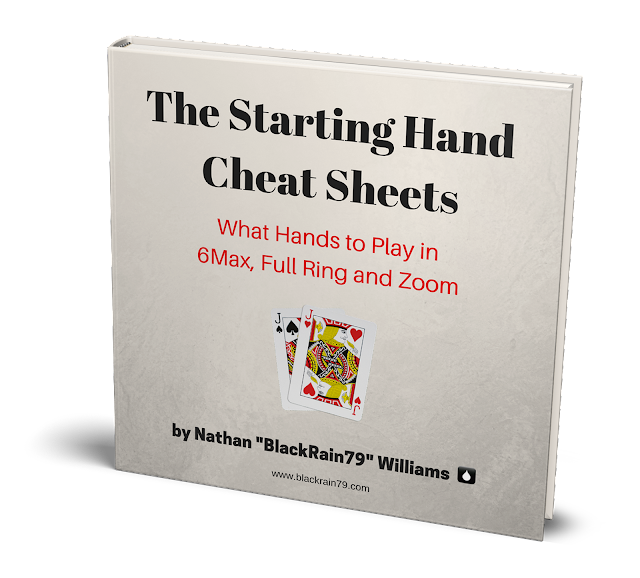 My name is Nathan Williams but I am better known in the online poker world as "BlackRain79" and for having some of the highest winnings in history at the lower stakes. 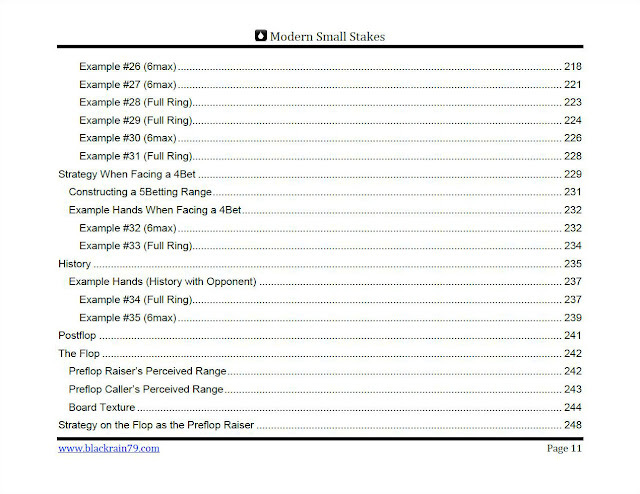 I am also the author of what some have called the "Bible" of micro stakes poker, Crushing the Microstakes. Ever since I wrote that book people have been asking me if I would ever write another one for higher limits. The answer was originally no. But given the reception that CTM would go on to gain, I eventually changed my mind. 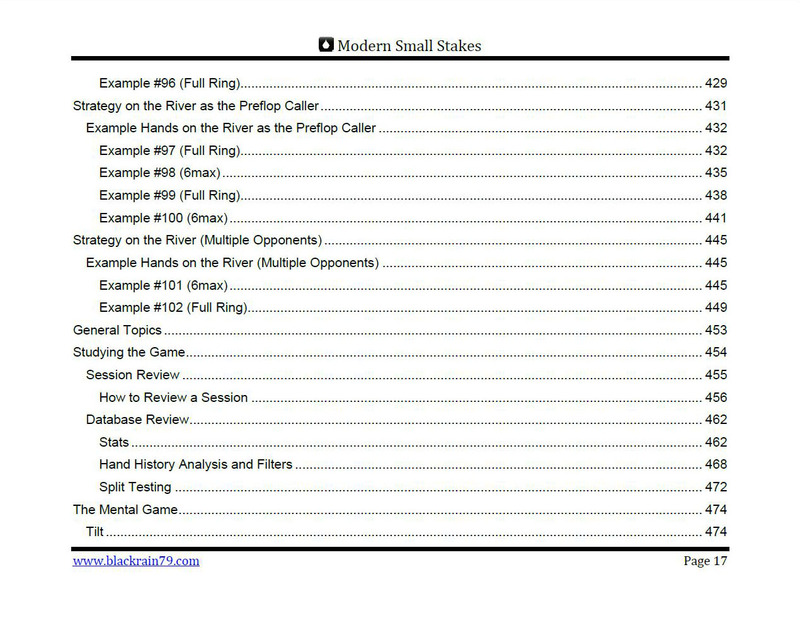 And so after well over a year in the making and countless revisions and delays later, Modern Small Stakes is finally a reality! I have always been very clear about the intent and focus of my previous book, Crushing the Microstakes. It was written primarily for beginners and people struggling at the very lowest limits (NL2, NL4 and NL5). It teaches a fundamentally solid and positionally aware brand of exploitative TAG poker that is wildly successful when playing against the weak opponents that populate these limits. However, by the time you get to NL10 (and NL25 for sure) the games start to change. No longer are most of the regulars complete beginners whose only real strategy is to "play tight." 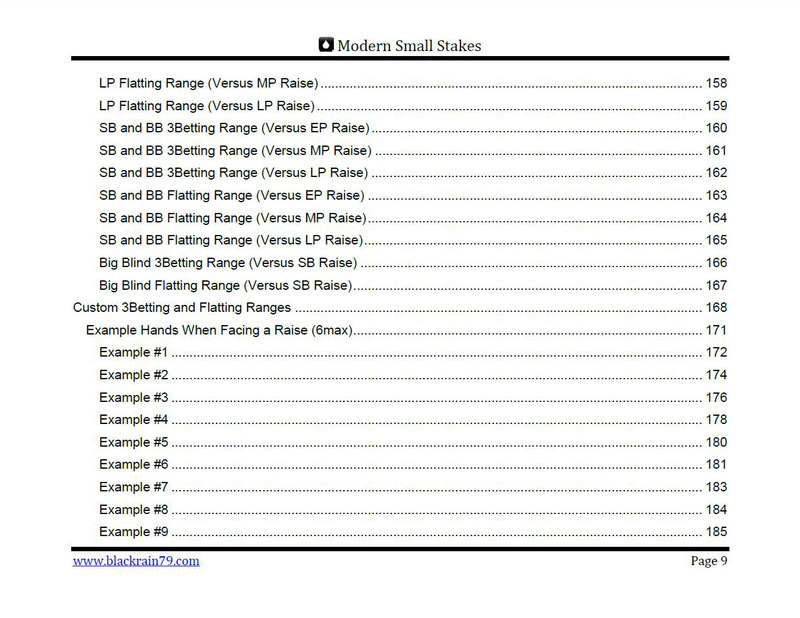 And no longer are there recreational players on every table ready to dust off a stack to you if they hit top pair. 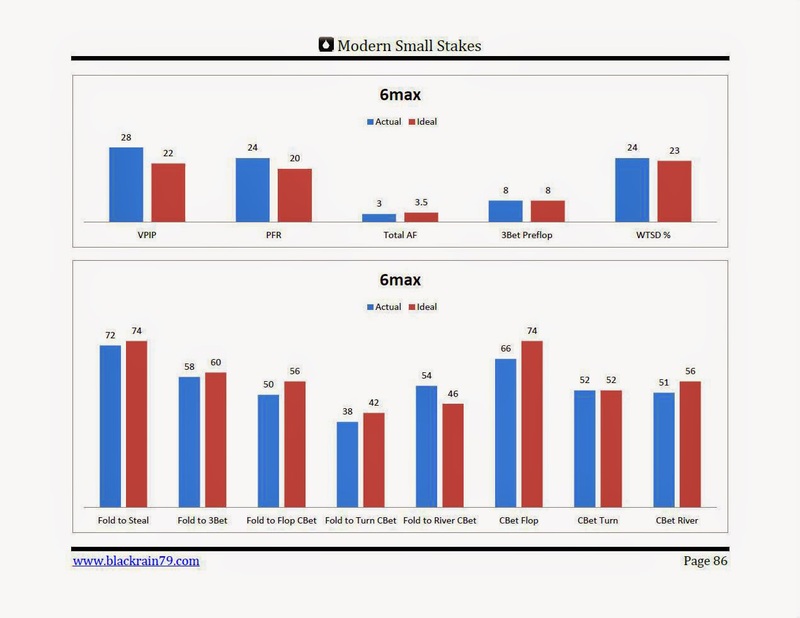 As you climb up the stakes the regs start to get a lot better. They take the game seriously and in many cases they are even actively thinking about how to exploit you! In essence, these stakes are where the real game begins. This is where you need to step up your game considerably in order to compete. Modern Small Stakes is the answer to this. NL10, NL25, NL50 and NL100 full ring, 6max and Zoom poker games online. 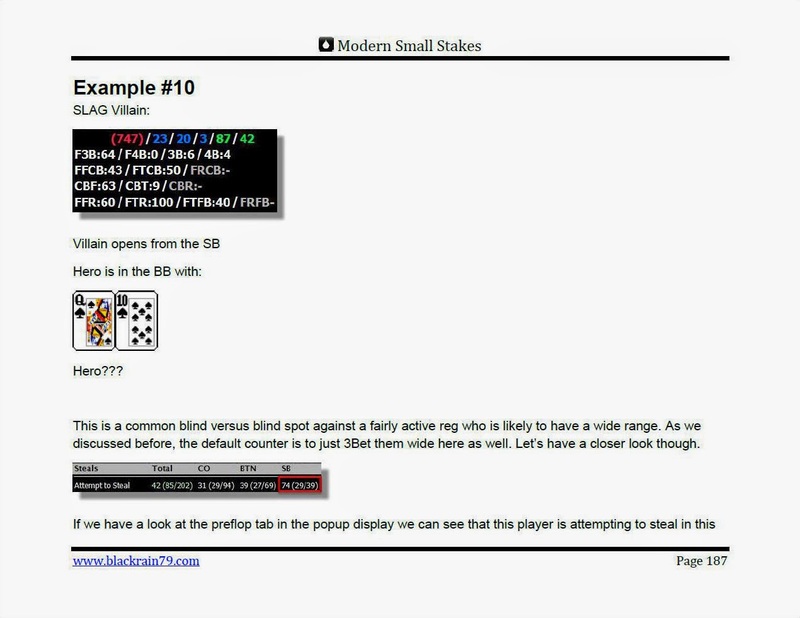 If you play NL2, NL4 or NL5 (or struggled at these limits in general) then it is highly recommended that you check out Crushing the Microstakes first which focuses directly on these games. The same goes for low limit live games like $1/$2 and $2/$5. 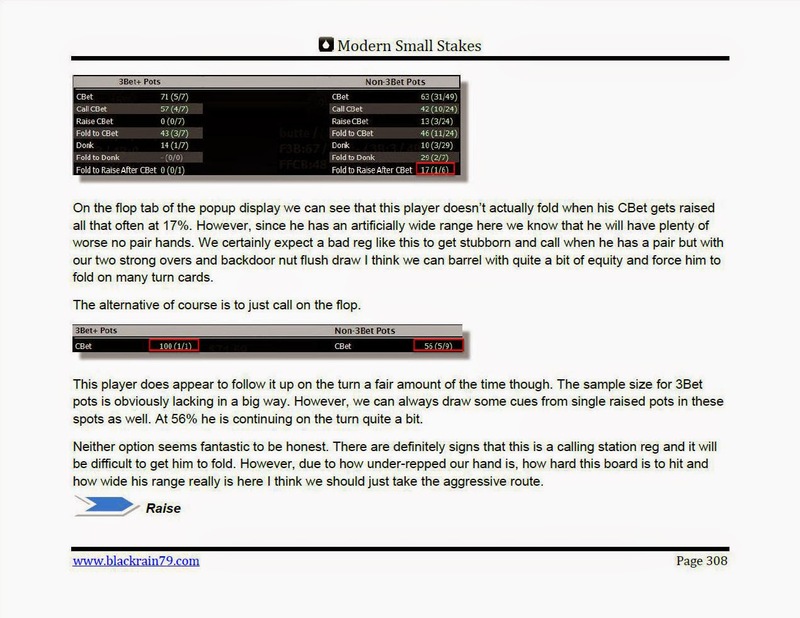 Crushing the Microstakes is much better suited to loose, passive games with lots of weak players like this. Modern Small Stakes is all about teaching you how to outplay the regulars that populate today's small stakes poker games. 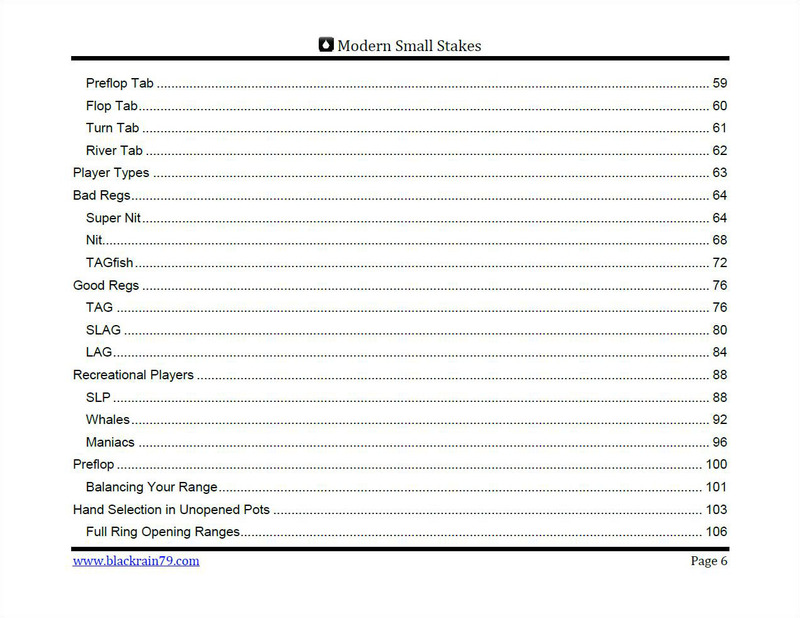 Through extensive HUD analysis Modern Small Stakes focuses on how to break down each player at these limits to the finest detail, pinpoint their weaknesses and exploit them. But this book is also about becoming un-exploitable ourselves. The easiest guy in the world to play poker against is the one who takes the same action with the same hand every single time. This unbalanced robotic approach is actually the superior strategy against most of the clueless opposition at the lower stakes. But it doesn't work against good poker players. 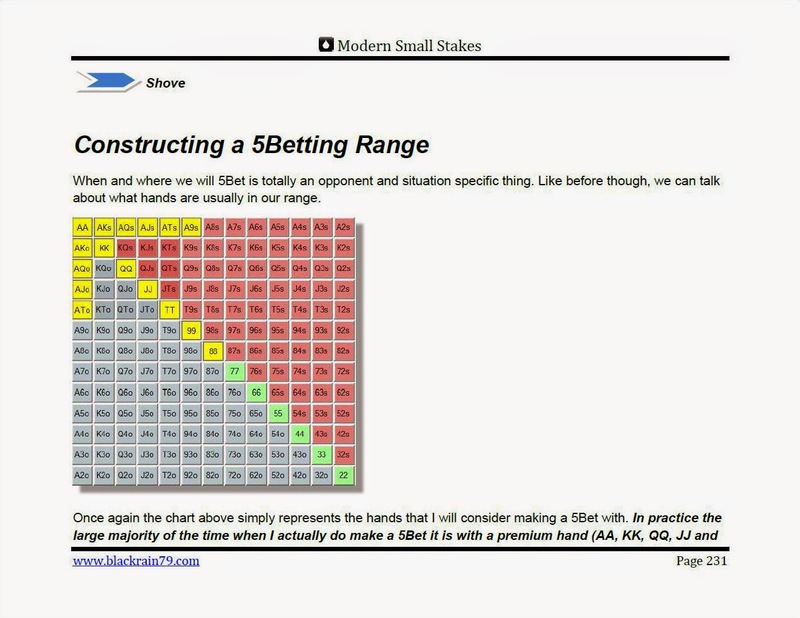 Therefore, every effort is made throughout this book to show you how to balance your range versus thinking opponents. 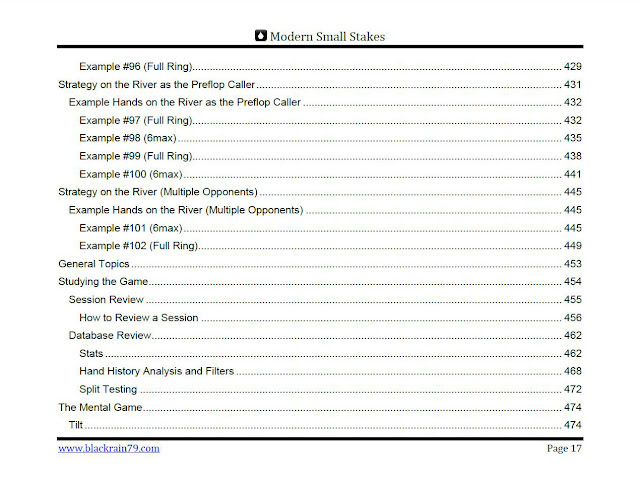 Using countless hand examples Modern Small Stakes does a great job of teaching you about a variety of difficult situations that you will encounter after leaving the micros behind. It’s an invaluable resource for players of NL25 and up and has taught me a lot about how to deal with these aggressive games. Modern Small Stakes is a massive work though. It is very difficult to sum it up in a few paragraphs. It is 500 pages in length and has over 100 highly detailed hand history examples of real situations against real opponents in today's small stakes poker games. 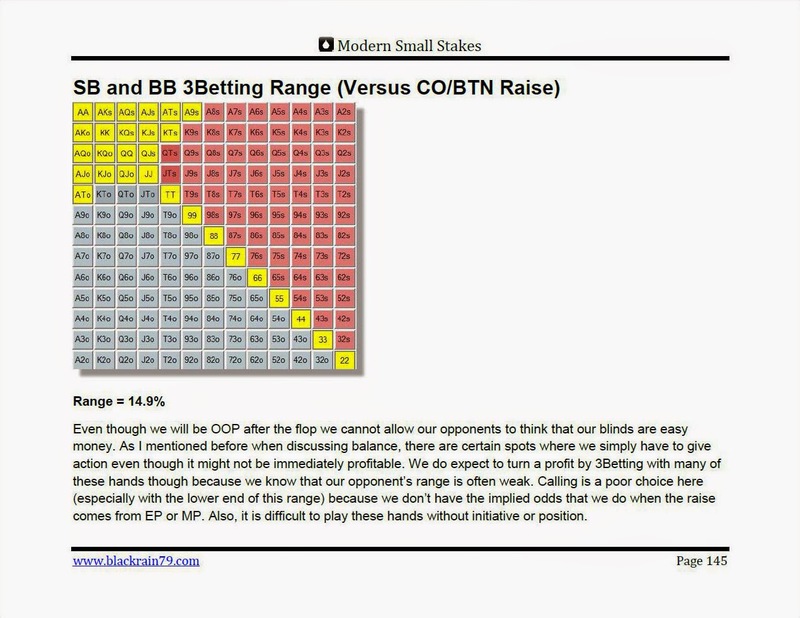 It also covers every single aspect of the game at these limits in extensive detail from what hands to play in each situation to 3Bet defence ranges and river bluff frequencies. And this is because I wrote Modern Small Stakes in order to produce real, long term consistent results at the poker tables. This is a book that is meant to be studied thoroughly and then referred to again and again as you progress through these stakes. Modern Small Stakes is by no means a casual read. It was written for people who are very serious about the game and separating themselves from the vast glut of mediocrity at these stakes. 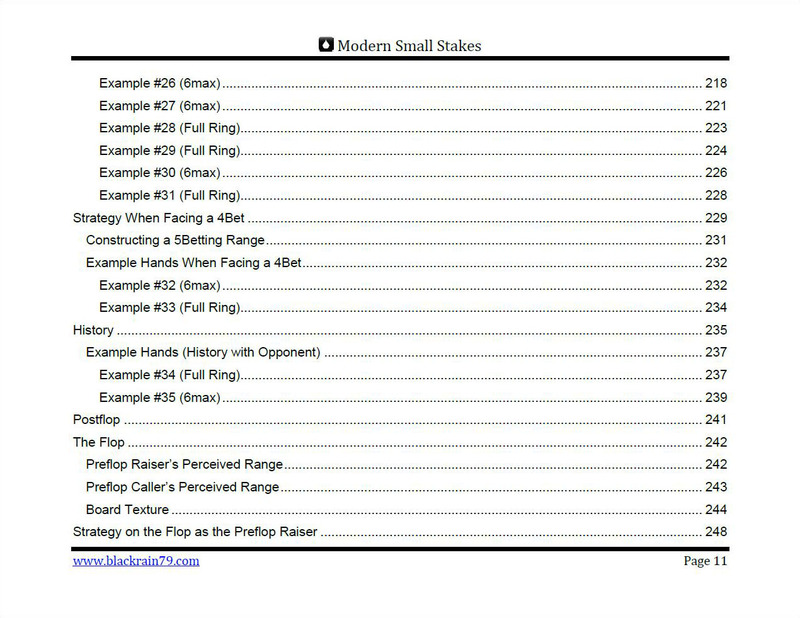 Whether you are an experienced grinder or a newer player just coming up, Modern Small Stakes will provide you with the knowledge and tools necessary to blaze a path through the lower limit poker games in 2019! 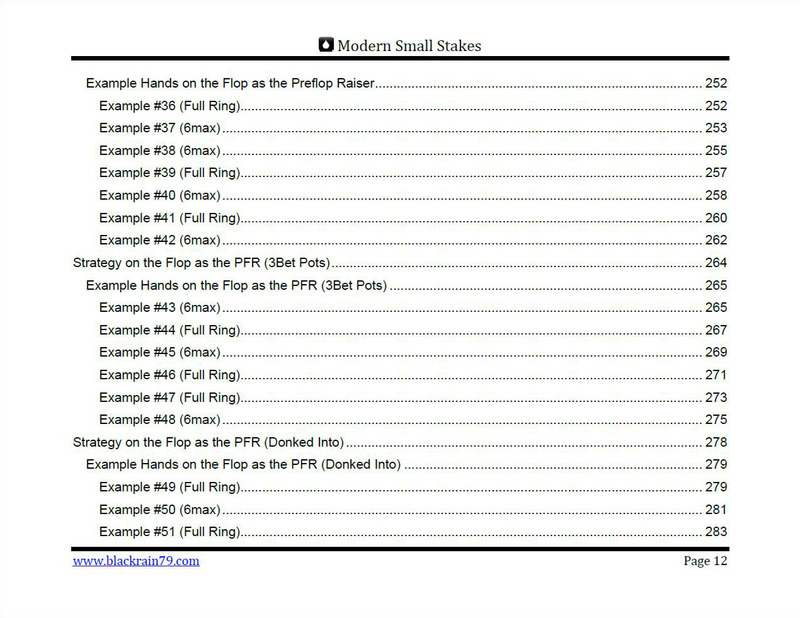 Pick up your copy of Modern Small Stakes today and you will also receive these free bonuses. These cheat sheets will tell you exactly what hands to play from every position in both 6-Max, Full Ring and Zoom games online. These are ideal especially for a beginner who doesn't quite know the basics yet. This guide takes the guesswork out of it for you. 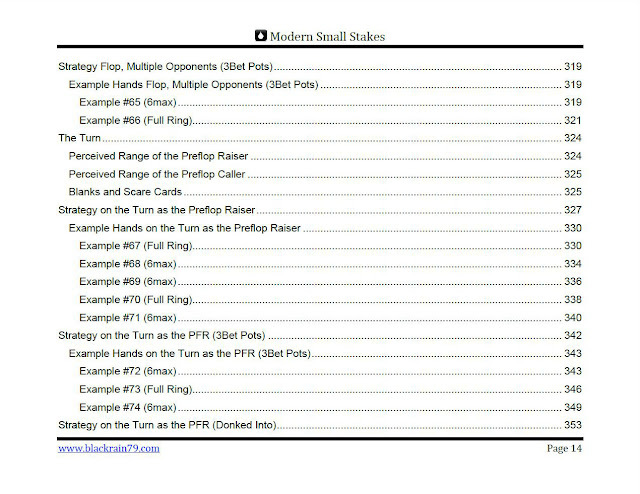 These "cheat sheets" will tell you exactly which hands to play from each position. They also tell you exactly how much to make your bet sizes. This all new ebook provides you with a complete guide on how to adjust your strategy in 6-max and full ring Zoom poker games (Snap, Fast Forward and Zone as well). 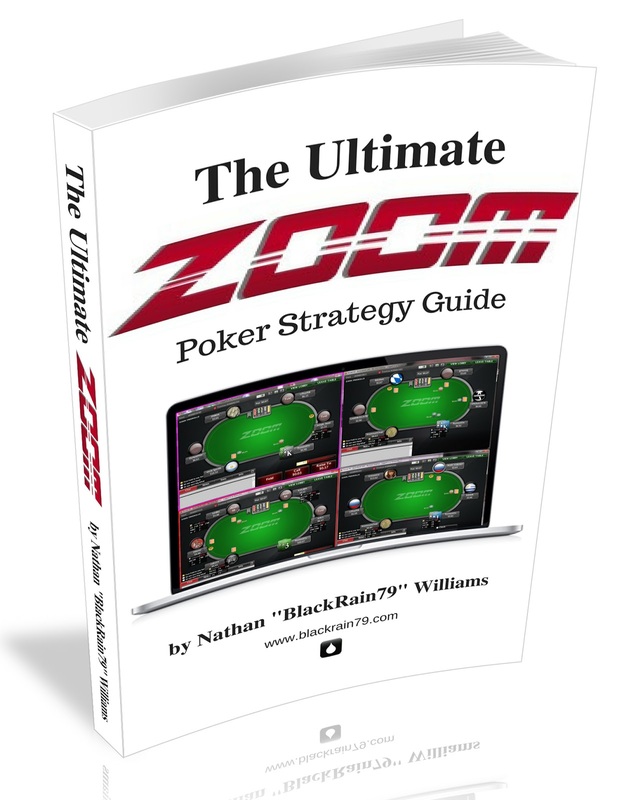 Never before has anyone written a complete strategy book for how to dominate Zoom games with several highly detailed example hands to help guide you through as well. I have a private poker forum which is only available for purchasers of my poker books or videos. This ensures that only serious motivated poker players are allowed in. And it creates a strong and positive learning environment especially for newer poker players. 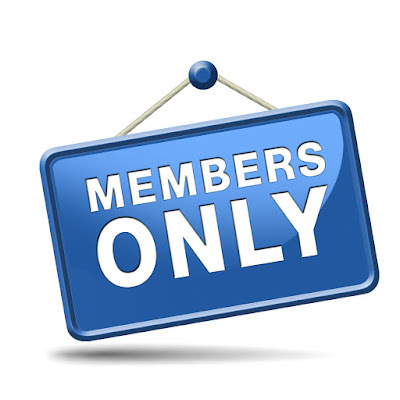 On my private poker forum you can also ask me any questions you want about Modern Small Stakes and get feedback on your own play as well. 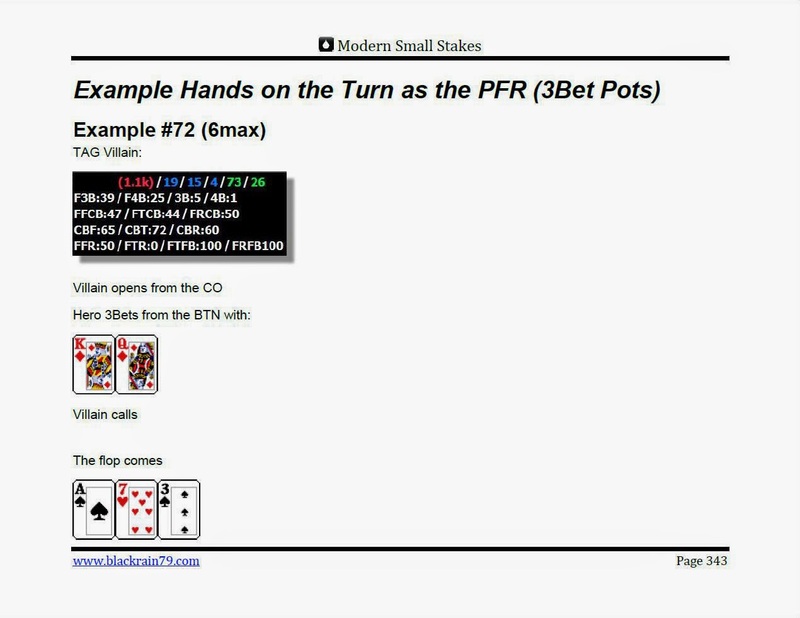 You can also post your own poker hand histories and get advice from me personally and many other pros and semi-pros as well. Since I am not accepting any new students for coaching, this is a big bonus for some. 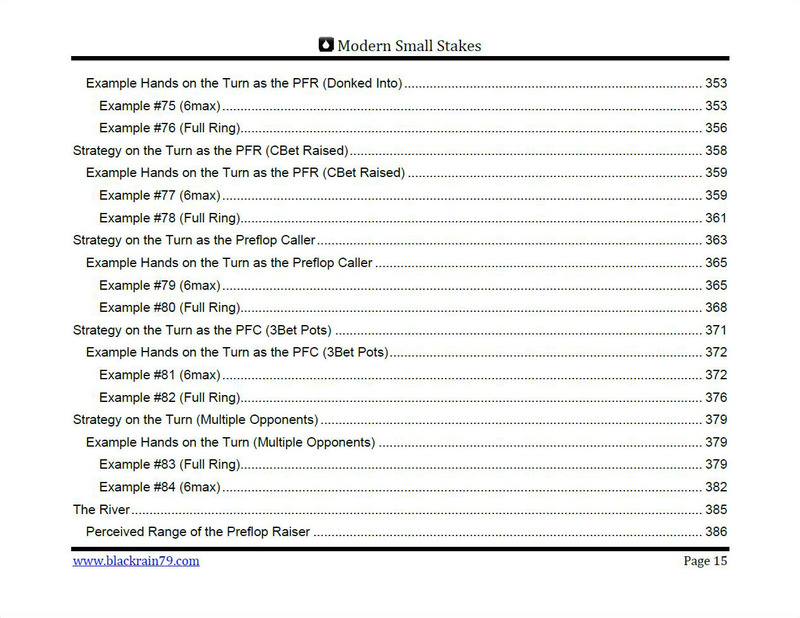 Modern Small Stakes represents a valuable addition to thinking about no-limit hold’em strategy, and should be of particular value both to recreational players looking for help dealing with tougher opponents and to more seasoned grinders who have made the move up to NL10 and above but need help broadening their strategic knowledge. 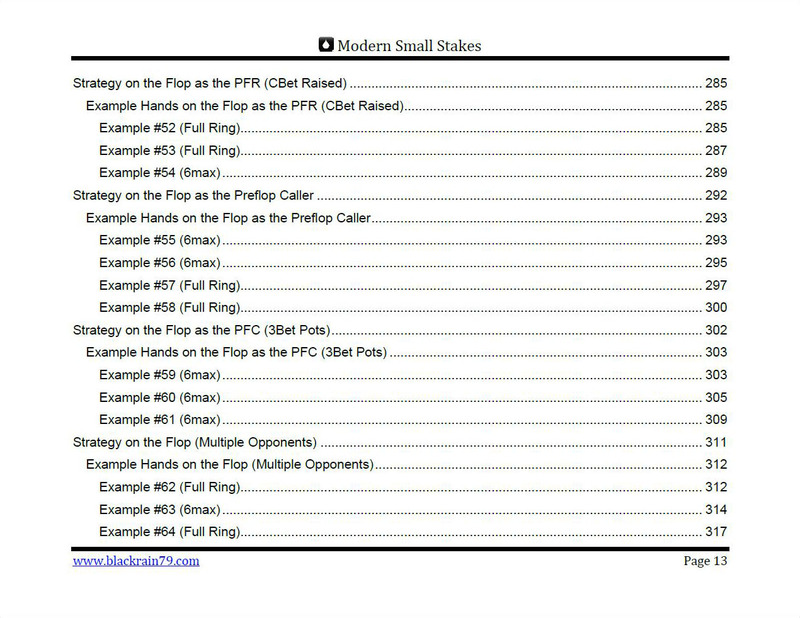 Modern Small Stakes simplified No Limit Hold'em at these stakes for me. It was as if everything was blurry when I played NLHE and this book was akin to putting my glasses on. 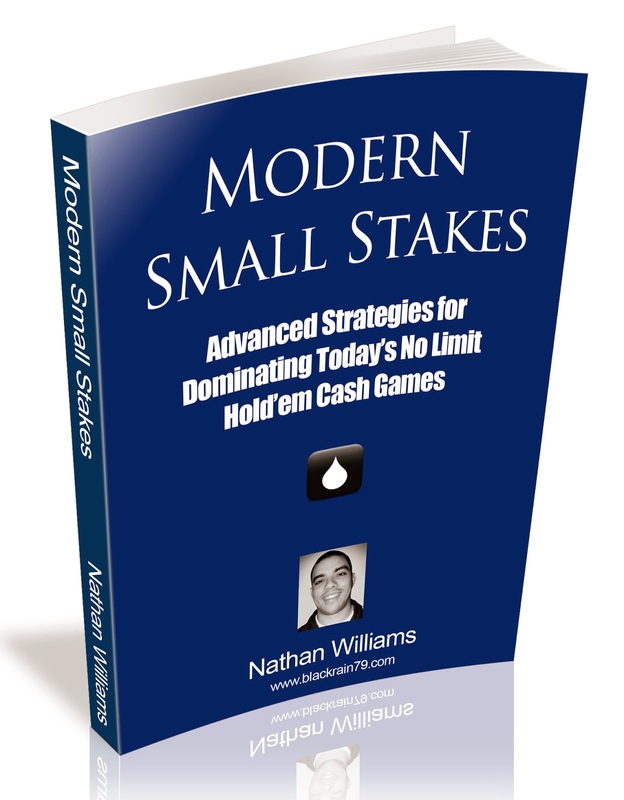 If you’re a small stakes No limit Hold'em player, then Modern Small Stakes by Nathan Williams should be at the top of your reading list. 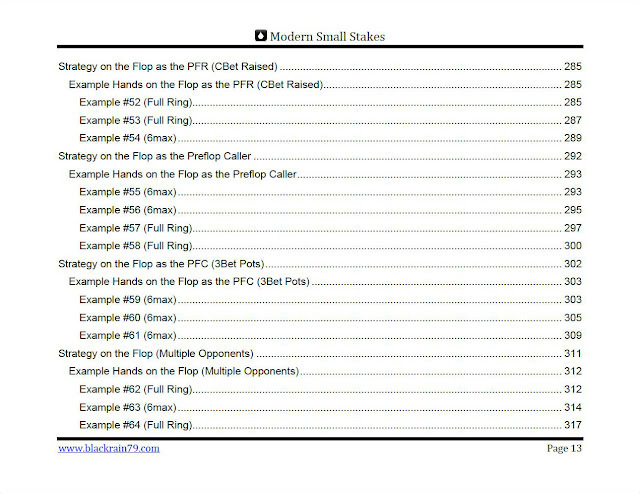 Nathan has written two very fine poker books. The first one was groundbreaking in examining the very lowest stakes. 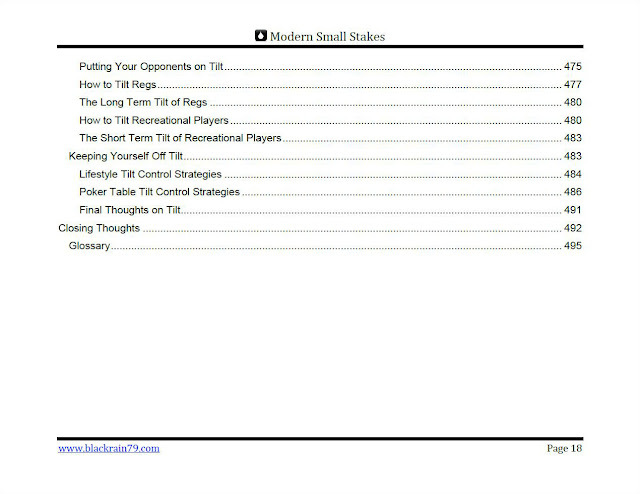 And the new book adds real value to the library of small stakes poker theory. It is thorough and the hand discussions alone are worth the money. 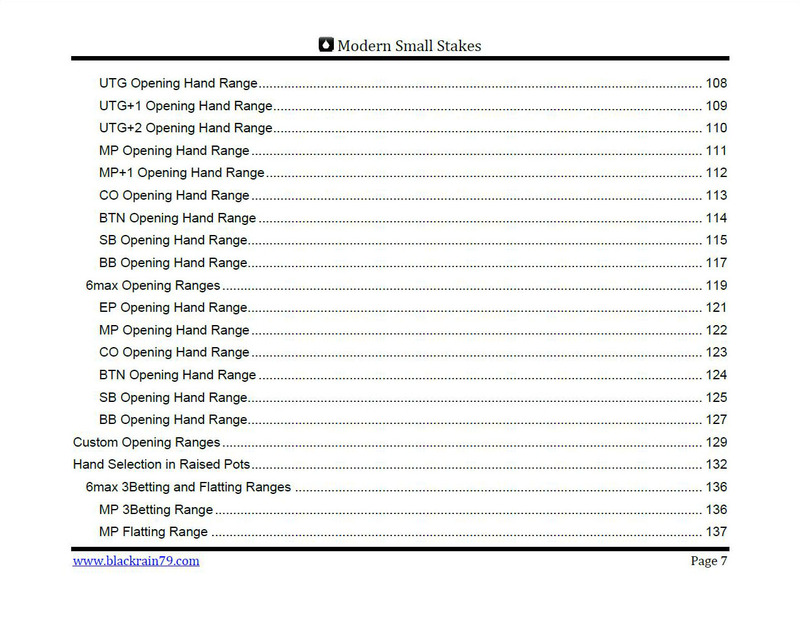 Since reading Modern Small Stakes and setting up Nathan's HUD I've been crushing 50NL (50k hands since reading and applying the material). Now taking shots at 100NL. I was one of the first people to buy this book. 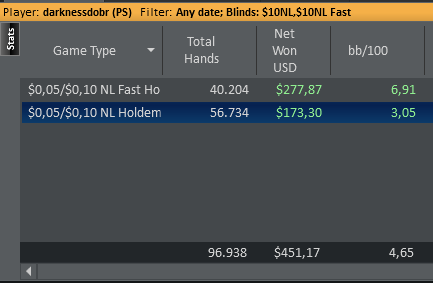 I was breakeven for 30k hands and had a lot of difficulty moving up from NL5 to NL10. 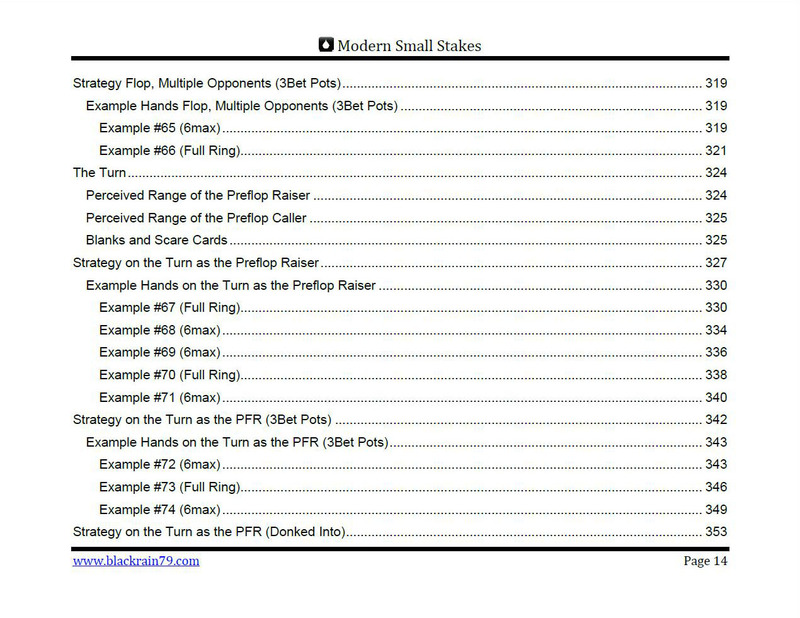 I read Modern Small Stakes and after that I played 70k hands and crushed NL10. Now I am moving up to NL25. My results are posted below. What I like about Nathan's writing style is that he breaks down difficult concepts into simple chunks that even a 3rd grader could read and understand. It feels like you are reading a storybook, not a textbook. I also like that he always explains WHY a certain strategy works well against a specific player. 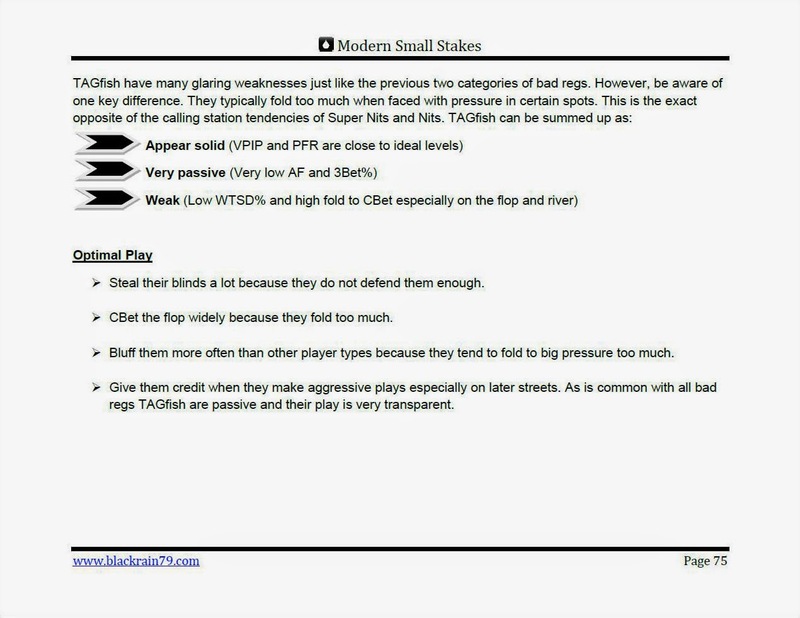 Learning how to adjust your play to your opponents is a skill in and of itself. 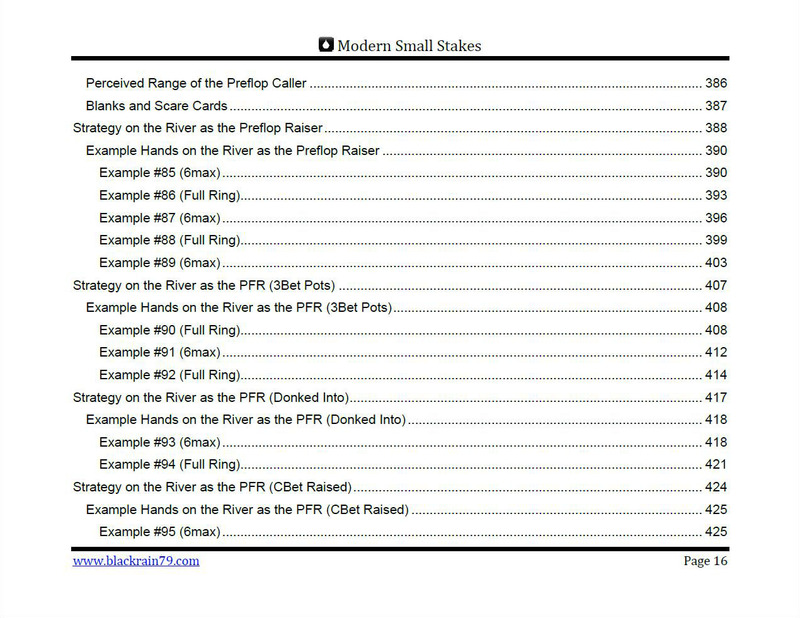 You really can't afford not to invest in Modern Small Stakes. There is no risk whatsoever on your part. The burden to deliver is entirely on me. 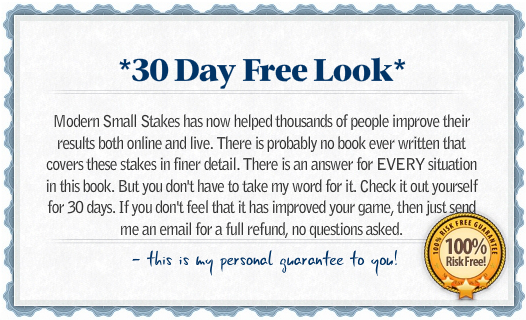 I am so confident that you will see improvements in your game after reading Modern Small Stakes that I offer a full 30 day money back guarantee. 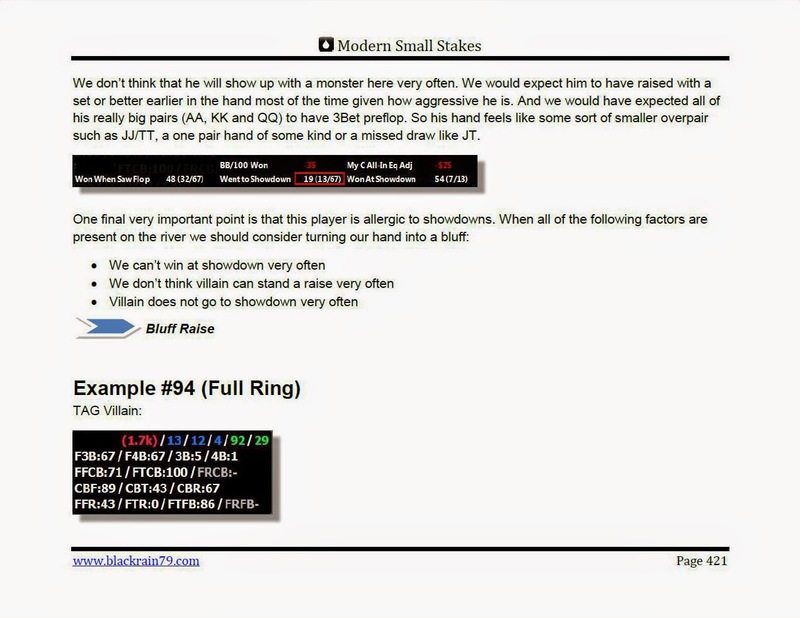 All Modern Small Stakes purchasers will also receive free lifetime access to the member's only section of my forum where you can discuss the book as well as post hand histories and get feedback from myself and other talented poker players. It’s easy to get started. Just click the button below and an email will be sent to your email address. In it will contain a link to download the book. It’s that simple. Click "Add To Cart" below to get started! Click "Add to Cart" above. 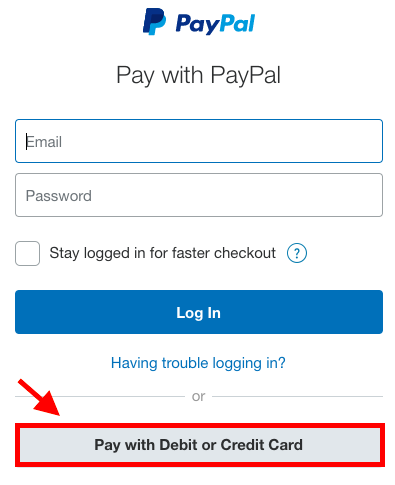 Choose "Checkout with Paypal"
Then select "Pay with Debit or Credit Card" on the next page. Click "Add to Cart" above. Choose "Checkout with Paypal" and then enter your Paypal details on the next page. Send $29.95 to nathan@blackrain79.com and then send me a quick email at this same address to let me know. I will send you your copy of Modern Small Stakes ASAP. 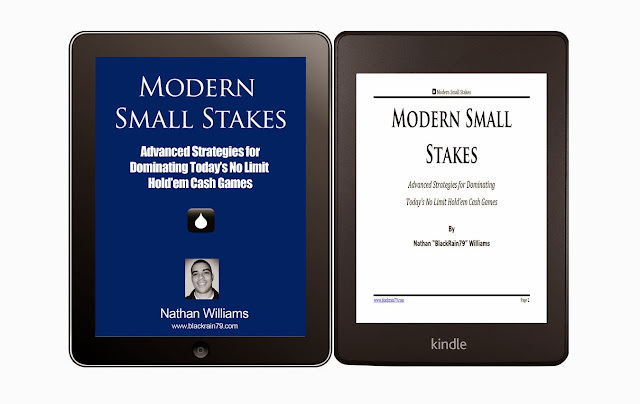 Modern Small Stakes comes in pdf, mobi and epub format. This means that you can read (or even print out) the book on any notebook, desktop computer, Kindle, iPad, tablet or smart phone. 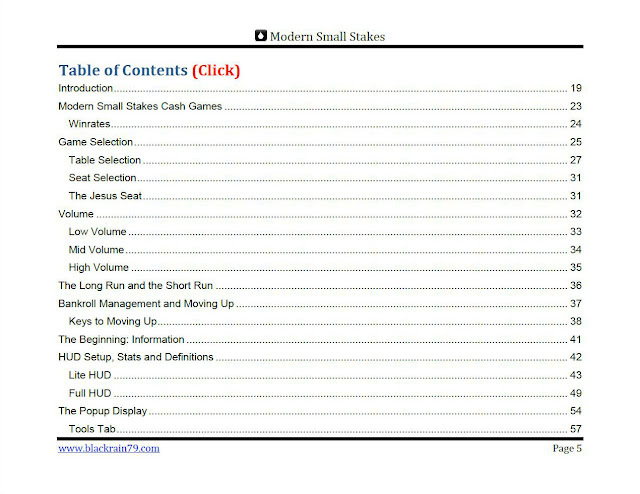 Modern Small Stakes is not available in hardcover or paperback. Modern Small Stakes is only available in English. 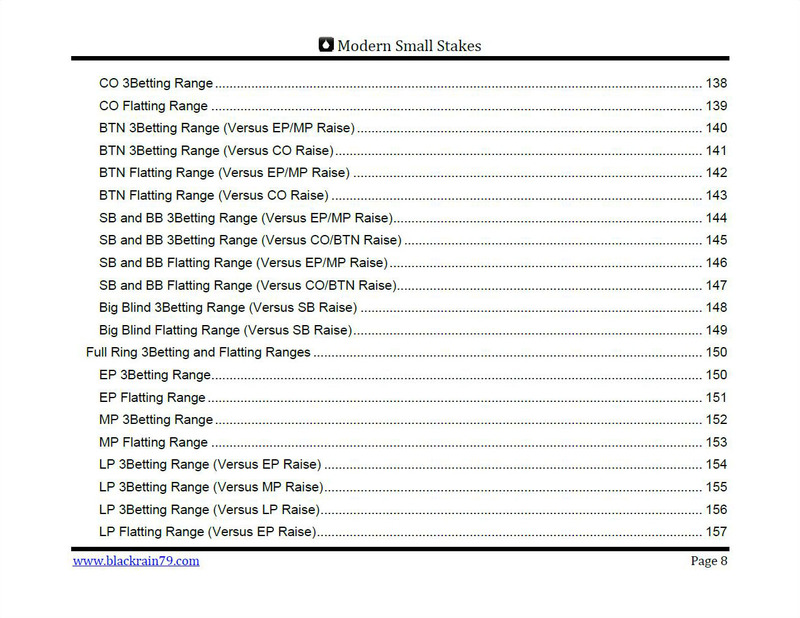 if you have any questions about Modern Small Stakes.